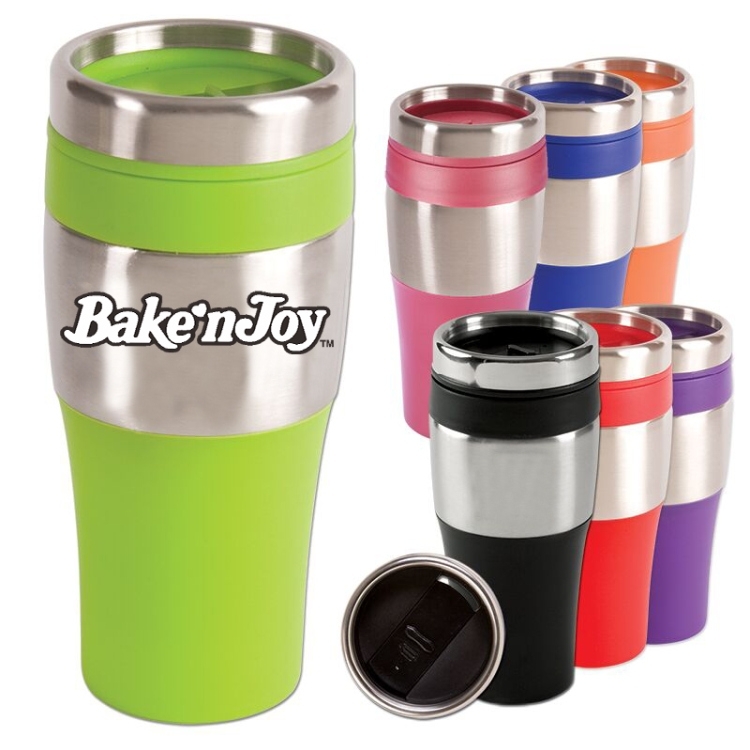 16 Oz insulated tumbler with stainless steel exterior and BPA-Free plastic interior. Features matching color non skid bottom, PP grip and a spill proof thumb slide plastic lid. Fits most automobile cup holders. Not microwave or dishwasher safe. Outer body with silicone ring could be easy catch by hands and insulated with hot or cold drinking.